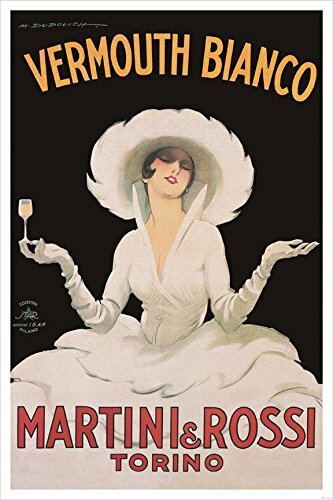 One of the most well-known Italian beverage companies is Martini & Rossi - famous for their Martini brand of Vermouth as well as their sparking wines Asti and Prosecco. Their name, brand and artwork has graced many memorable products from distinctive advertising art and posters to glassware, clothing and bar accessories. 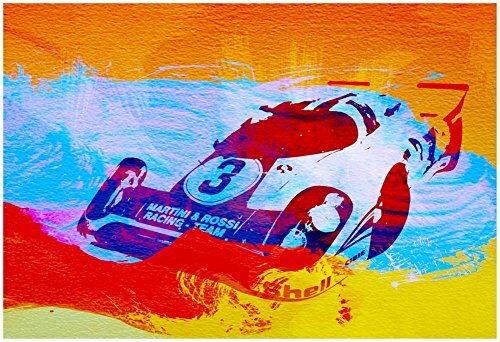 This page collects a wide assortment of Martini & Rossi merchandise and memorabilia for those interested in collecting it themselves - or perhaps looking for a gift for someone with Italian taste and style! 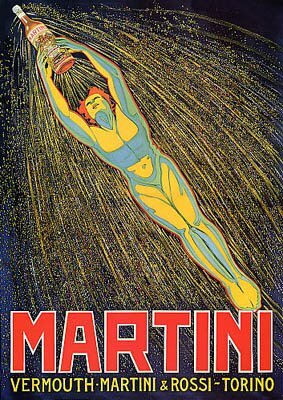 Whether you have a home bar you wish to decorate with vintage advertising images to simply want something cool and unique to express your love for Martini & Rossi beverages, you'll find plenty to choose from on this page. 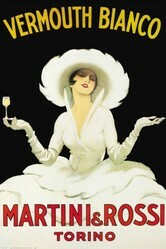 The Martini & Rossi company dates back to the mid-19th century, as a vermouth bottling plant in Pessione, Italy. Three men became the most powerful in the company: businessman Alessandro Martini, winemaker Luigi Rossi and accountant Teofilo Sola so in 1863 the company became known as Martini, Sola & Cia. The Sola family sold out of the business in 1879 and the company then changed its name to Martini & Rossi. In 1929, the now famous ball-and-bar logo of the brand was registered which is still today seen in much of their labeling and advertising. They have always pursued aggressive advertising campaigns including sponsoring sporting events, in particular motor racing. 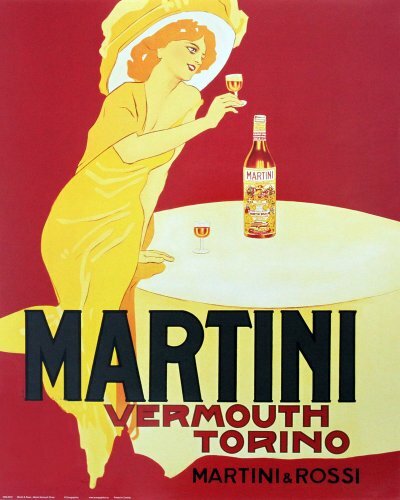 Perhaps most well known for their vermouth products, there are numerous ones produced under the Martini & Rossi label: Martini Rosso, Martini Bianco, Martini Extra Dry, Martini Rosato, Martini D’Oro, Martini Fiero and Martini Gold. They also produce Martini & Rossi Asti sparking wine from Piedmont and Martini & Rossi Prosecco from Veneto. These eye-catching, classic designs are all about 20th century Italian style. You can't go wrong with any of them, especially if you have a home bar where you'd like to show off your love of Italian spirits and beverages. Some people love to collect vintage magazine ads for their favorite products, and eBay is a great place to search for such items. You can frame these for simple wall art, too! 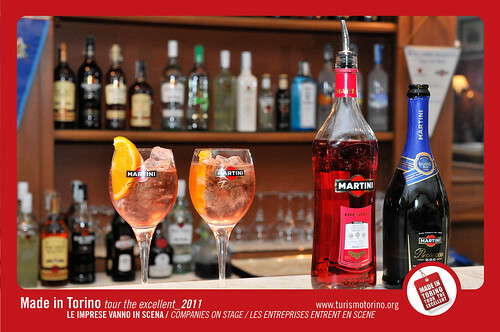 Try a Martini & Rossi cocktail for something different...and so Italian! 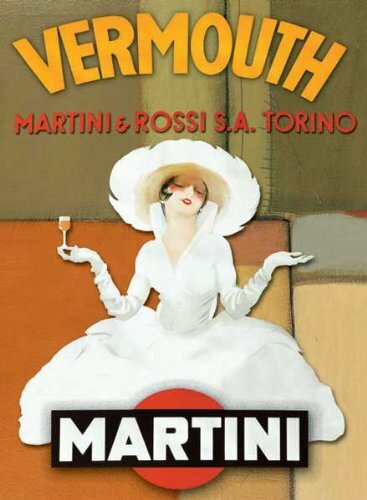 Make one of our 9 (and counting) tasty Martini and Rossi Dry Vermouth drinks using these great recipes! Recipe made with the following ingredients: Pineapple Juice Cherry Juice Martini And Rossi Asti Spumanti. We also have lots of similar drinks made with the same ingredients. This comes from La Bottega by way of the New York Times and is delicious. Made with the other vermouth. 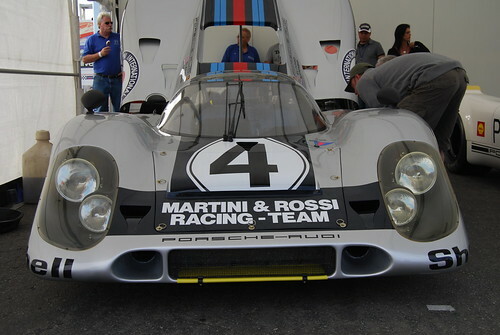 Another way Martini & Rossi has made a name for themselves, through the years, is with their television advertising. These ads have featured popular celebrities of their time period such as Angie Dickinson, Jaclyn Smith, Nicolette Sheridan, and more! Enjoy these classic ads which are memorialized today on YouTube. Fashions may have changed through the years, but a great drink never goes out of style! Smoking may not be as popular as it once was, but logo ashtrays are still a great collectible if you're a fan of a specific brand. Do You "Say Yes" To Martini & Rossi? 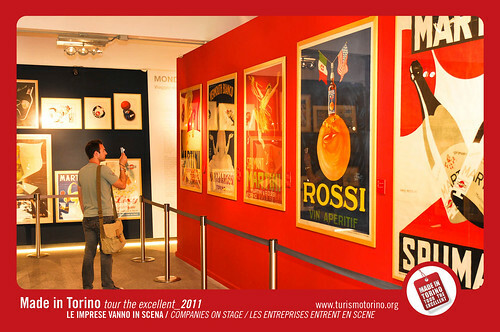 It is amazing how old advertising posters become pieces of art. Nice selection.